We can’t deny, smartphones have opened a world of opportunities and make it easier to do so many things every day but some of us can be guilty of using our smartphones too much. One of the most searched for smartphone tips is how to use it less. It might seem counter-intuitive; you have this incredible piece of technology in your pocket and you want to use it less? Smartphone use is going up exponentially every year, so it makes sense to take a break from it once in a while. 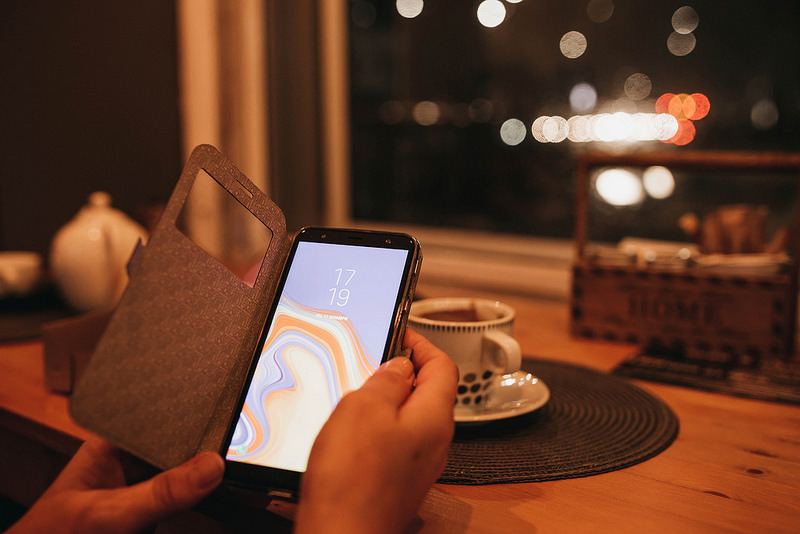 With that in mind, here are some simple tips to help you become a bit less reliant on your smartphone in 2019. Before you put your phone down, identify what you’d like to do with your newly free time. If you don’t pre-determine what’s going to occupy your attention you run the risk of becoming bored. If you get bored, you’ll be even more tempted to pick your phone back up and repeat the vicious circle. Your time is yours. Do you want to learn a new language? Get more work done? Play guitar? Spend some time planning the new year? Or just daydream for a few seconds? You’ll be amazed at what you can achieve with the newly available time you have every day. Define your goals and work towards them every day. You can’t be sure you’re using your smartphone less if you didn’t know how much you used it before. Stands to reason, right? Start by installing an app such Moment, which will track your usage throughout a given day and provide you with some baseline metrics. You can also use Apple’s Screen Time feature if you have an iPhone or Samsung’s Thrive app for the Samsung Galaxy Note 9. You night be shocked at your usage. You might not. Regardless, it gives you data to work with so you can begin to shave off those precious minutes every day spent staring at your screen. One of the easiest practical tips for lowering your phone use is to put it somewhere it’s just slightly inconvenient for you to grab. You don’t have to go hiding it in the attic or anything. Many people instinctively reach for their phone when they’re bored, nervous, or curious. If your phone is just out of your reach, you won’t be inclined to take hold of it every five seconds. You’ll only pick it up when you really need to. If I’m working on really intensive task at work and need no interuptions, I’ll put my phone in my desk drawer so as not to get distracted by notifications, just having it out of the way helps. The same in the bedroom – don’t keep your phone by your bedside, where you’re tempted to reach for it first thing. Move it to the other side of the room so you at least have to get up and move to look at it. Or don’t have it in the room at all (see 6 Reasons for Leaving You Phone Out of the Bedroom). Do you have any useful tips to share? Post them in the Comments below and we’ll compile a list of the the top 20.